A letter could soon be showing up in your mailbox that looks like it’s from an official Florida government agency, but it’s not. 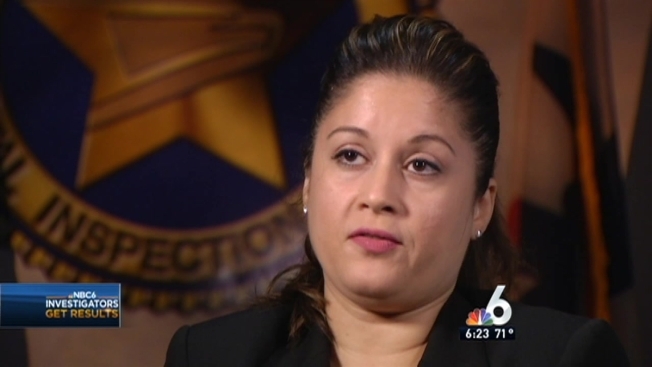 The NBC 6 Investigators took the letter to federal investigators who are now doing an investigation of their own. And Florida officials are now referring to it as a “scam” and are requesting people file complaints with the Florida Attorney General’s Office. When Dan Daley of Coral Springs opened the urgent letter he received, it had him worried. “I almost paid it, in a heartbeat, the letter says ‘final notice!” said Dan Daley. “You don’t want to get in trouble,” said Daley. Daley is a small business owner who works out of his Coral Springs home. The letter claimed he needs to be pay $74 dollars for employment signs that are required by law to be posted at his business. The letter stated if he didn’t pay the money he could face some pretty serious fines. “There’s no indicator that it’s not a state agency, so I almost broke out the check book and paid it,” explained Daley. The letter is from the “FL Human Resources Compliance” with an address at the state capitol in Tallahassee. Daley almost sent the check, until he noticed the postmark on the outside of the letter. The letter was mailed from California. “That was the red flag” said Daley. Daley is not just a small business owner, he’s the Vice Mayor of Coral Springs. The government leader did not recognize the apparent government agency behind the letter. “You really do think it’s a state agency,” said Daley. The agency was listed as the Florida Human Resources Compliance, which is not a state agency. And the forms it wants you to send $74 to receive can be printed off the state's website for free. Daley called the NBC 6 Investigators, and we contacted the US Postal Inspection Service. “We will find out who’s receiving this mail and whether it’s a legitimate company or not,” said Postal Inspector Blanca Alvarez. Federal officials say the company isn’t doing anything illegal, unless they don’t send the signs people pay for. “The key to finding out if it’s an actual fraud is if the product that’s being sold is actually being provided,” said Alvarez. The NBC 6 Investigators put Daley’s letter, along with the $75 dollar money order, in the mail on December 2nd to determine if anything would come in return. It has been more than five weeks and nothing has arrived. “If the product or service was not received, then we will investigate as potential fraud,” said Alvarez. Agents with the US Postal Inspection Service are now looking into the case along with the more than 70 other cases. Inspectors are checking to see if paying customers are receiving the signs. “They’re preying on small business owners and it’s just not right,” said Daley. The NBC 6 Investigators reached out to the company by mail, email, and a phone number linked to the business, but haven’t heard back.